Turns out that some of the “traditional” things my parents did to me when I was little, like shaving my head and piercing my ears, are not as normal to other people as they are to me. And that’s the thing about traditions: what’s totally fine and expected to some, can be strange to others. 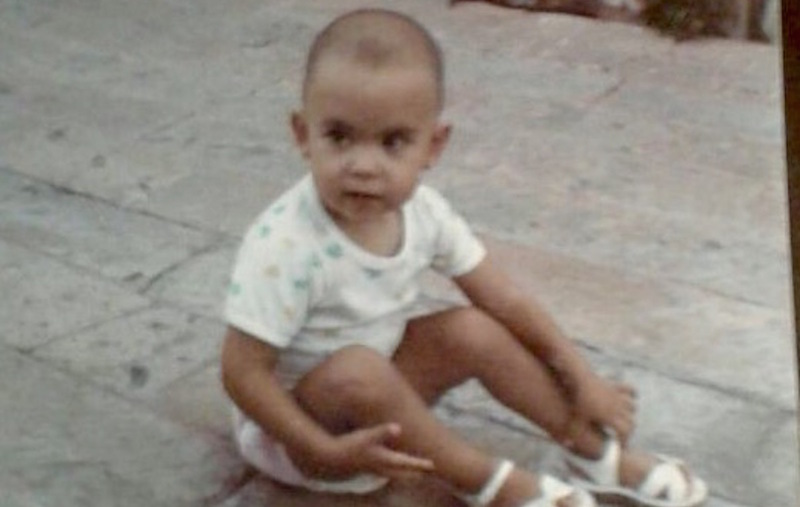 After sharing the stories of my mom shaving my head when I was a year-and-a-half old so that my hair would grow back thicker, and getting my ears pierced at the hospital just hours after I was born, I wanted to hear from other Latino USA staff about their traditions. Featured image: Fernanda Echávarri at her grandparents’ house in Mexico in early 1987. Courtesy of Fernanda’s mother.